Great news everyone here is our new t-shirt designs available in our online shop. These are totally original designs thanks to our friend Dave Harris. Get them now and show you are part of the 404 family. We don’t usually comment on private gigs but Happy Birthday Steve and thanks for letting us play The Jam and the Who on Brighton Sea front. Flipping Heck it’s April already and we haven’t shared anything since December. We have been really busy behind the scenes though and have been working on an EP that we will be recording this week. An exciting time for us and hopefully you will be able to enjoy the results soon. We will keep you updated…. use this cash point when we are in Hoxton practicing. With Highbury and Islington still reverberating from September’s Buffalo Bar gig, The 404 were back in the same neighbourhood last Friday (20th Jan), this time performing on the Holloway Road. The Nambucca pub is a lively venue with a music hall dominated by giant air conditioning vents hanging from the low ceiling and waves of dry ice fog blurring everything in sight. No problems with the sound though, and the boys gave us a rocking evening of their home grown numbers. Opening with the increasingly popular ‘The Hitman’ and then ‘Leave Me Alone’, they soon had Nambucca’s regular’s and ‘rival’ fans of the earlier performing thrash metal band streaming in from the bar to get a piece of The 404. (OK, there weren’t that many regulars or thrash metal fans in the bar in the first place but some of them definitely came in). Following up with other favourites like ‘Song for Life’ and ‘Step Outside’ it was great to hear how the band and the numbers they’re playing are evolving with each performance. The enthusiasm was everywhere to be seen and no where livelier than on stage. As the set drew to a close The 404 were literally bouncing up and down (and nearly in bounce synch) with ‘Seven Minutes’ and ‘Dance Floor’. With the audience cheering louder and louder with each number it was over all too soon. So where to next? South, East and West London are surely waiting. Hello everyone. We have had a lot of new friends discover The 404 recently. We would like to take this opportunity to welcome everyone to The 404 family and thank you for your support. As you all know we have our first gig of 2012 at Nambucca this Friday night and it would be great to see as many of you and your friends as possible. It would also be great if you could introduce yourselves to us so we can welcome you in person. 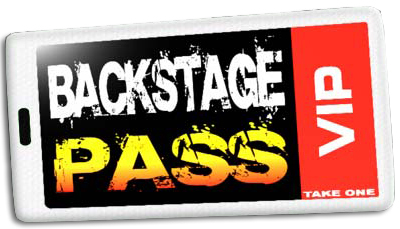 We will be onstage around 8pm but will be at the club from 7pm when the doors open. Join us on Friday the 20th of January and help us beat the winter blues!!!! 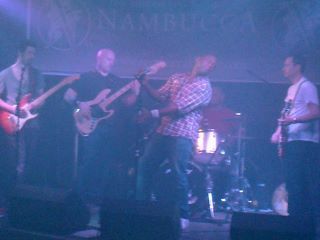 Our first gig of 2012 at Nambucca, Islington. Nambucca, 596 Holloway Road, Islngton, London N7. Saturday the 29th of June 2013 at 8pm. The White Harte , Cuckfield, West Sussex We will be playing a full party set and also performing the 4 tracks from our just recorded EP. Follow us on your favourite social networking site (above) or enter your email address and receive updates via email!